Perhaps you have updated your Mac to OS X Mavericks and received some updates. 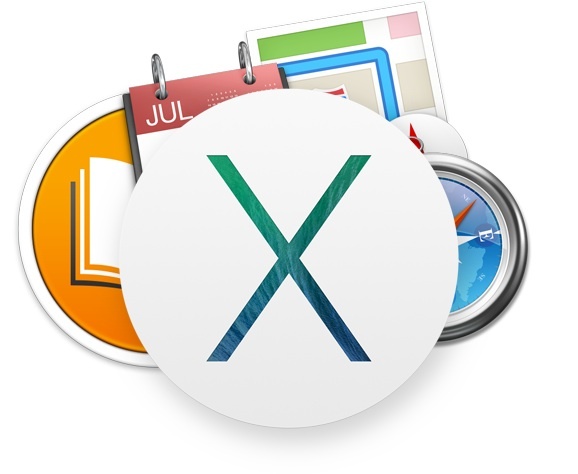 Here are some handy tips for the users of 10.9 version of the OS X operating system. We already wrote about upgrading to OS X Mavericks and there are lot of good unique tutorials on OS X. Most tips for OS X 10.8 will work for Mavericks too. Here are some tips for the fully new Mavericks users, however, old Mac users might find them quite useful. The dictation of Mac OS X have previously required an active internet connection to work. Now you can activate and use it offline by checking the option named Use Enhanced Dictation from the Dictation & Speech Window (from System Preferences). You must download the full package. If you used to log out when leaving your job or using the key combination CTRL + Shift + Eject to lock your screen, know that now you can now simply press the power button to turn on the machine for this purpose. A long press will allow it to display the dialog the options to turn off or pause your machine. The option might vary depending on year of manufacturing. An important new feature of Mavericks is the integration of tabs in the Finder. You can easily open a folder in a new tab by holding down the Command key and double-clicking the folder. Note that, any time you can open a new tab with the combination of Command + T keys as like in a web browser. Tags also appeared first in Mavericks. They allow you to organize your files with labels and colors. To quickly allocate a file or group of files from the Finder window, a simple drag and drop on the tags in the Finder column will suffice. You may not have lost the habit of opening multiple Finder windows on your Mac. Yet tabs put some order and it is very easy to consolidate all the opened windows in one! Click the Window menu and choose Merge all windows option (from right click). Exactly like iOS, Safari on Mac OS X is able to display all the shared accounts which you have subscribed links on Twitter. Make sure that your Twitter account is linked with your Mac from the system preferences. Open Safari and then click Layout and click Show Sidebar. Mavericks is towards iOS. The map application that Apple has already built into iOS is in Mavericks too. It allows you to calculate routes and better yet, allows you to print, with overall journey map, detailed map of the key steps of the journey as well as to create a list of directions. With Maps, you can not only plan the route, but also can share to an iPhone by sending via iMessage by clicking the share button. Since the transition to Lion, the Library folder is hidden and only could be accessed from the Finder by clicking and holding the alt key to make it appear in the menu. Mavericks offers a bit more freedom and has a new setting for easier access. Open a Finder window on your user folder. Click the Show View Options and select the Show the Library folder in the Preferences window. If you do not know, iCloud Keychain is safeguarding your Keychain Access where all the usernames and passwords are grouped. Open the iCloud settings from system preferences. You just have to check the iCloud keychain option to activate and allow to use with your iOS devices. This Article Has Been Shared 3886 Times! I visited many blogs but the audio feature for audio songs existing at this web site is genuinely fabulous. Cite this article as: Abhishek Ghosh, "10 Things to Know About Mavericks," in The Customize Windows, December 10, 2013, April 21, 2019, https://thecustomizewindows.com/2013/12/10-things-to-know-about-mavericks/.